Which one of these sounds the most delicious? Take the poll HERE. These pancakes (NO! They’re not crepes at all. They’re quite different.) can be found in any Dutch diner. 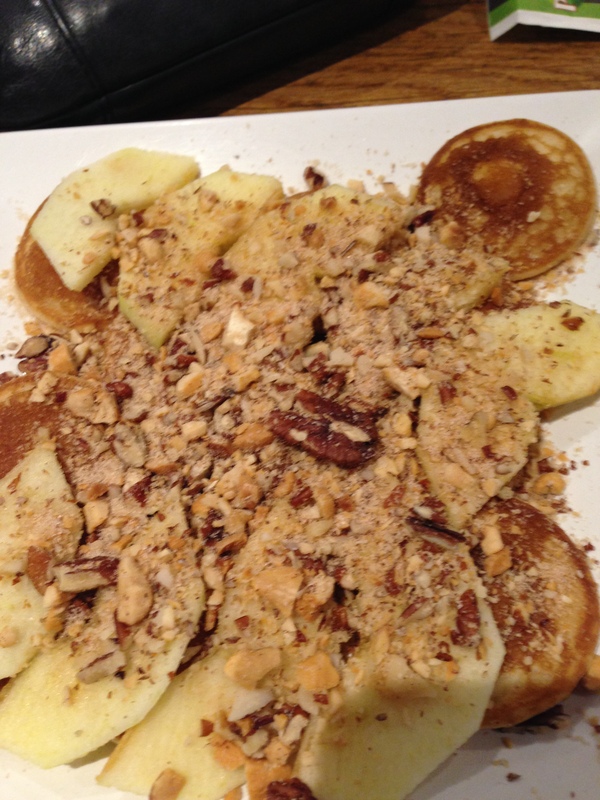 They are often paired with sweet toppings like apple cinnamon compote, bananas, and nutella or with savory toppings like bacon. 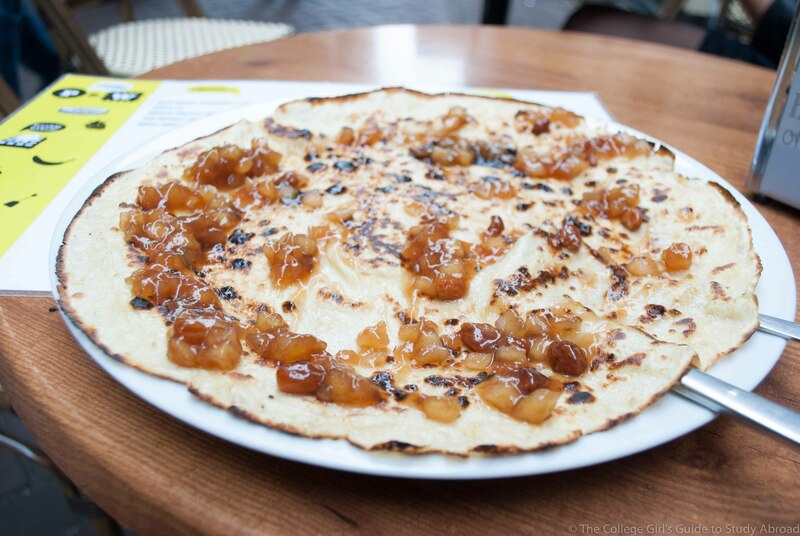 Many cultures have their own unique version of pancakes; the Dutch are just so awesome that they have two. Poffertjes are small and fluffy and are similar to American pancakes. Again, they’re often offered with toppings. Just about the tastiest thing ever. 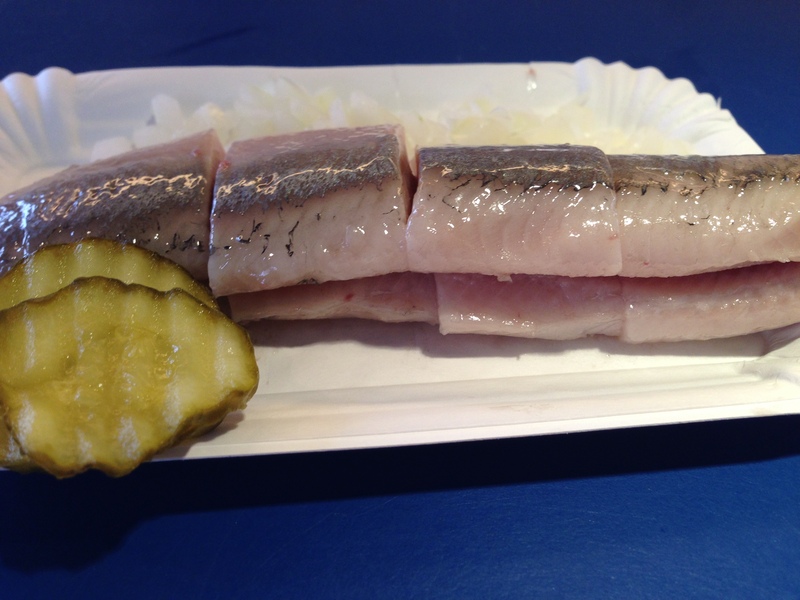 Smoked herring is vailable at food carts throughout Amsterdam. I’m not sure why but I was expected herring to be gross and I almost didn’t try it. I’m so glad I did because it may have been the most delicious thing I tried in Amsterdam (it’s rivaling the pannenkoek). Basically, if you like lox or other smoked salmon dishes, you will love herring. It can be interesting to see how different cultures put their own spins on the common staples. 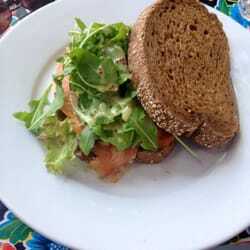 Smoked salmon isn’t just delicious when it’s lox on a bagel, so why not try Dutch smoked salmon with lemon, lettuce, and maybe a bit of cream cheese on some whole wheat bread? 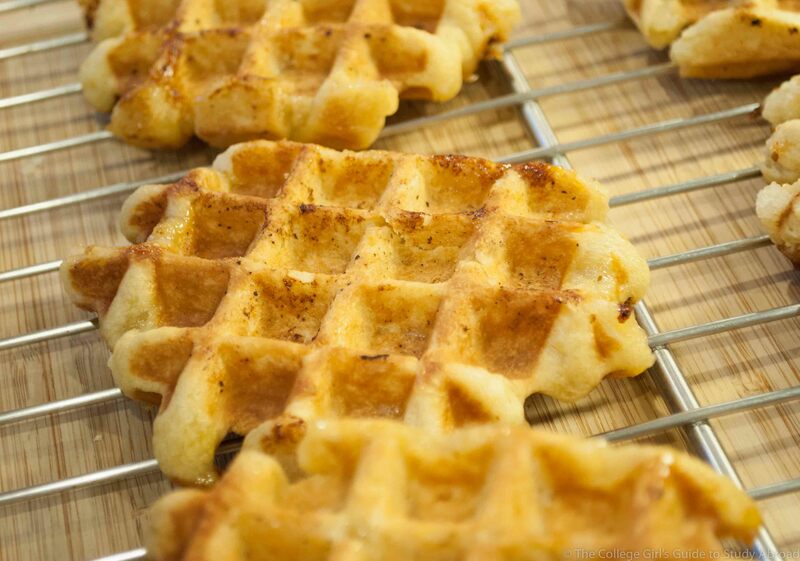 The Netherlands are right next to Belgium, home of the best waffles on earth, so Dutch waffles are pretty good. That said, if you’re pairing your trip to the Netherlands with a trip to Belgium, there’s probably no need to rush. Tip: waffles are offered with all sorts of toppings in the Netherlands. However, these are things you could get anywhere else, and rather than compliment the waffle they just drown out the taste, so I’d recommend a plain waffle. Just like you can’t go to New York City without trying pizza and Chinese food, you can’t go to Amsterdam without trying Indonesian and Surinamese food (see #7). Indonesian food is a bit like Chinese food, but spicier (hotter) and with its own twist. Who wouldn’t want to try that? I personally recommend the hard boiled eggs, which are lightly fried in flavorful goodness. Because don’t worry, you’re not the first person to wonder where Suriname is (although virtual high-five if you already knew). Surinamese cuisine is a fusion of just about everything. It has Amerindian, East Indian, Indonesian, Chinese, and African influences and you should definitely try it. I’d go for the bacalao with fried cassava (<— my detailed description of its deliciousness). This is technically a bonus because I didn’t get to try this one, but the Dutch have the highest licorice consumption per capita in the world (a wopping four pounds per year), so the licorice must be pretty good. Want to read more about Amsterdam and The Netherlands? Check out 24 Things to do in Amsterdam and 68 Hours in Amsterdam. Oh man! It all looks so good 🙂 I’m going to amsterdam in two weeks for the first time so I hope I get to try as many as I can! Wish I knew about all these! Did you miss out on the 3rd and best kind of waffle? Stroopwafels. They’re more like what Americans would call cookies–think 2 round discs made of waffle cone held together by syrup, caramel, or honey. You can find large, fresh/hot ones at open markets or packed ones everywhere. Frites are also huge here. And “bitterballen,” a plate full of deep fried balls of “stew” like gravy. The Dutch, it seems, subsist on carbs and some kale when in season. Thanks! I found the licorice photo on google images and it really drew my eye. 🙂 Most of the photos here are a mix of my own and my favorite photos on the topic from other sources. Belgium the home of the best waffle. I don’t know: Norway could give you a run for your money! LOL! But then I am partial to all kinds of waffles. Yet to try a Belgian one. Dutch ones are really good too. Good list. Sad I couldn’t try the Pannenkoek and Surinamese food.